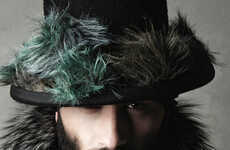 The Gentleman and Bohemian Fall/Winter 2013 collection campaign is captured by photographer Joseph Cardo's lens. Starring model Fabian Nordstrom, this distinguished image series showcases the label's elegant attire alongside some wild animal costars. 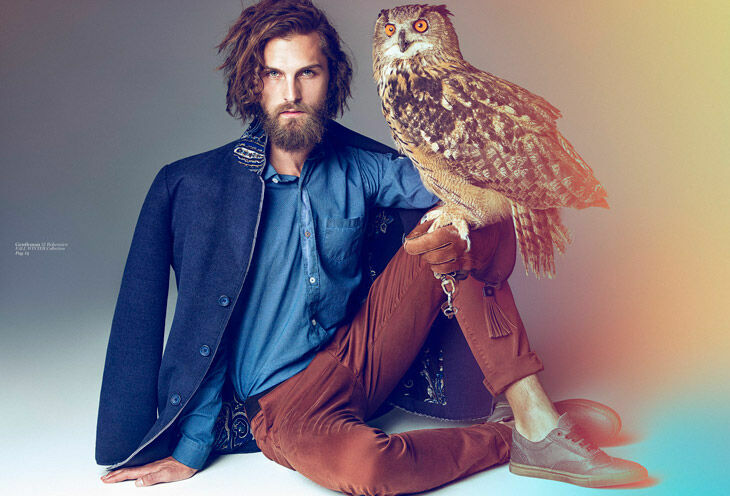 Fabian poses in studio alongside a pair of gorgeous owls while sporting designer Victor Cool's eccentric menswear pieces. Styling the studio photoshoot, Donato Panucci dresses the model in patterned blazers, rocker-inspired graphic tees and rugged denims that are made to fit the brand's effortlessly cool target consumer. The Gentleman and Bohemian Fall/Winter 2013 collection shines a light on eclectic garment pairings that evoke the perfect mix of classic elegance and youthful flair. 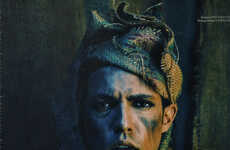 Playing the character of a distinguished gypsy, model Fabian perfectly embodies the brand's rugged rocker aesthetic.